Insulation products can be used both above and below the concrete floor slab, below the floor screed, in beam and block floors and with underfloor heating systems. We offer a wide variety of brands including Kingspan, QuinnTherm, EcoTherm and many more. If you do not see the right product for your job – please contact us. Kingspan Insulation is a market leading manufacturer of premium and high performance rigid insulation products and insulated systems for building fabric and building services applications. 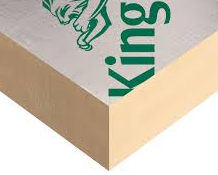 Kingspan Insulation has a vast product range including optimum performance OPTIM-R vacuum insulation, premium performance rigid Kooltherm® insulation; high performance rigid Therma® insulation; and high performance rigid extruded polystyrene insulation. 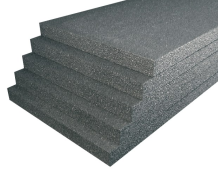 Tektherm GPS Insulation is a lightweight, closed cell, graphite enhanced EPS board that is easy to install and can be used in a wide variety of domestic and commercial floor applications. It is most commonly used below a concrete slab, screed or chipboard floor finish. 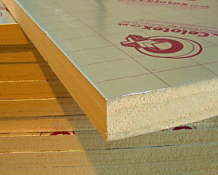 Tektherm GPS Insulation boards are available in a range of sizes and densities to satisfy current building regulations and required U-Values. When used in conjunction with other Tekfloor products, a high level of thermal efficiency can be achieved, making it the ideal replacement for PIR and Phenolic flooring systems. Quinn Therm Ltd specialises in the manufacture and distribution of polyisocyanurate (PIR) insulation to the Irish and UK construction industry. 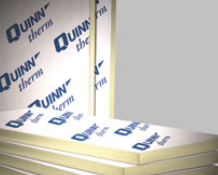 Quinn Therm Ltd is part of the insulation division of Quinn Building Products and is located in Scotchtown, Ballyconnell Co. Cavan. Quinn Therm insulation is manufactured to exceed the performance criteria of National and European Standards, and current building regulations. Quinn Therm rigorously test their products to the relevant European Standards on a daily basis, using the latest technology in their state-of-the-art in-house laboratory. 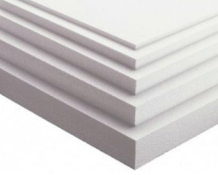 Expanded Polystyrene (EPS) is made from polymer impregnated with a foaming agent, which, when exposed to steam, creates a uniform closed cell structure highly resistant to heat flow and moisture penetration. EPS is one of the least expensive and cost effective rigid foamed plastic insulations. 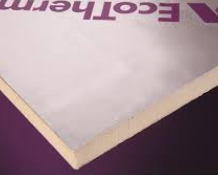 EcoTherm® develops, manufactures and supplies thin polyisocyanurate (PIR) rigid thermal insulation board products throughout the UK. Gridboard is a cost effective alternative to other floor insulation boards available on the market today. It is available in a wide range of depths allowing you flexibility in your floor make up. 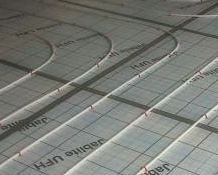 The Grid Pattern which will assists the under floor heating installer with the laying of their under floor heating pipes.